Car insurance premiums had been falling over the past two years, but the AA has revealed that trend has come to an end. Its data for the final quarter of 2018 showed that the typical cost of an annual comprehensive car insurance policy increased by 32.7 per cent in the last three months of the year, to £609.93. This was the highest figure since the second quarter of 2017, when prices reached an all-time high of £693. Overall, the figure remained down 5.9 per cent on a year before. The AA suggests the fall in premiums was brought about by the signing into law of the Civil Liability Bill. The bill restricts the ability of people to make frivolous whiplash claims. However, the fact this will not come into effect until 2020 may have taken the momentum out of this factor. AA’s director of insurance Janet Connor said this and the higher cost of repairing cars had pushed premiums up. Repair costs have increased due to the increased technological sophistication of vehicles. However, Ms Connor noted, the big issue on everyone’s minds just now has also become a factor. She remarked: “Underlying all of this of course are concerns surrounding Brexit. “Regardless of what the final deal looks like, the market has continued to battle with the value of sterling. With these costs being pushed up, drivers may look to use other means to bring premiums down. The use of telematics is one way to of this, as it can track driver behaviour. This enables motorists to show they are not driving for too long, too fast, recklessly or too late at night. 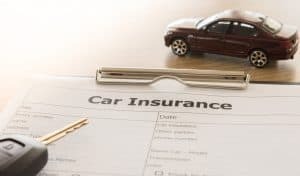 Many motorists, both fleet and private car drivers, have made large savings on their insurance this way, particularly when renewing policies after a year of demonstrating good driving habits.